HOW TO GET THE MOST OUT OF YOUR OILS. Friends, let's talk about these beloved little bottles of pure magic! Essential oils are the “lifeblood” of a plant. They protect plants from disease and provide nutrients. Plants rely on the essential oils in them to grow and adapt to their surroundings. Essential oils can be found in a plant’s flower, stem, leaves, bark or fruit. They are usually extracted through steam distillation. Essential oils are very complex, containing hundreds or thousands of different chemical compounds; this is what gives each plant its unique healing attributes and characteristics. They were man’s first medicine! You may be new to this community and are just hearing about essential oils for the first time, but they have actually been used for a really, really long time. Today, essential oils are still used to bring health and wellness to the body – mentally, emotionally and physically! Which is exactly why we are all here and so incredibly passionate about them! -help support the different systems of the body: digestive, nervous, muscular, and more. Sounds incredibly remarkable, right?! These oils are so incredibly powerful, each little drop so potent, and containing so much LIFE within all of them! So how do we make sure that we are getting the most out of them that we possibly can?! YOU NEED TO ACTUALLY USE THEM! Consistency is your best friend when it comes to oils. So many people look at these gorgeous bottles and think of them in the same way that we have come to think of modern medicine--something to turn to when and if we have a need or are looking for support. But they actually work in our bodies in much different ways. The best way to receive all their therapeutic benefits?! Use them and keep using them! Don't just reach for them when you think you feel something coming on. Use them preventatively to support your immune system all along. In fact, you will notice oils support you MORE the MORE that you use them, so don't just make it a once in awhile thing. Before I step foot out of my bedroom in the morning after getting out of bed, I've already applied at least six different oils topically to my body! And that is just right when I wake up! I oil up all day long, from sun up and sun down. One of the first things I do in the morning is refill my diffusers. We know how powerful they are--why wouldn't I want access to that all day everyday?! Those who I hear most tell me that they aren't sure if oils are making a difference in their lives or not are those who don't use them consistently. Think of them like your seatbelt--they are your support physically, emotionally, mentally. You put your seatbelt on right when you get in the car, right?! You put it on for safety, preventatively. You don't anticipate being in an accident, but you want to be protected just in case! You don't reach over and put a seatbelt on after (God forbid) you get in a car accident, right?! By then it is too late! You put it on the moment you get in for your utmost protection. That is the same way that we should be using our oils! As constant support throughout the day. There for us and uplifting us and protecting us all day long, and then if a moment comes when we need a little extra support from them than we do most days, we already have them like a seatbelt in our systems. 1. Start with one oil and bring it with you everywhere! 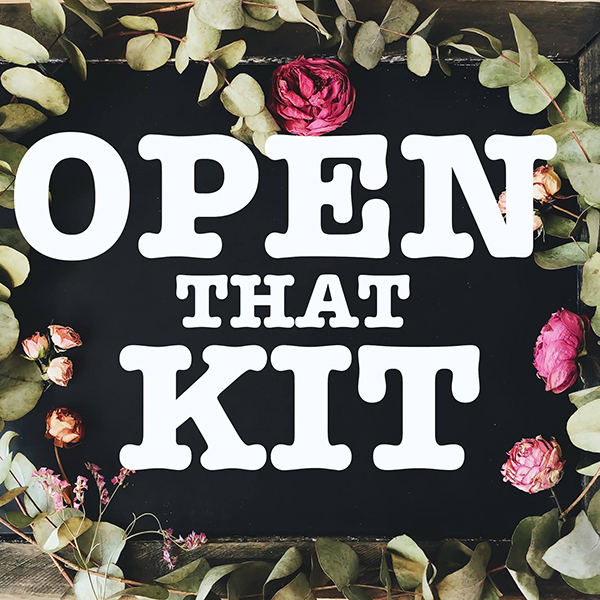 Maybe it is lavender--pull that beauty out of your starter kit and go place a few drops in the diffuser right now. Roll some on your wrists or the back of your neck. And do this multiple times a day! Just pick an oil and start (and don't stop!!!). 2. Keep your oils somewhere you can see them! If they are shoved away in a drawer somewhere, they are out of sight out of mind. Dr. Jim Bob Haggerton says that every time you pass an oil station in your house, you should pause and put an oil on or breathe some of it in. Don't hide them away--keep them in plain sight where you will USE them!! (Bonus points if you post a pic in the comments of your oily stations in your home!). 3. Develop a routine. I'm constantly changing up what oils I use for different things, but I always have a routine in place. Just as a I brush my teeth before bed, I apply my oils and get my diffuser ready with my sleepy oils as well. There are so many things that we do on a consistent basis, why not make using your oils part of a routine that you are already doing?! After you wash your face, have that be your time that you apply some oils. Once you sit down at your desk, have that be your time that you apply some oils. Whenever/however it works for you, having a routine can be so helpful! 4. Set alerts to oil up! This may seem a little drastic, but did you read the amazing benefits of these oils listed above?!?!?! Why wouldn't you want that in your life?!? This is something that I live by day in and day out. I tend to get distracted really easily, so as much as I do have oily routines, if I am knee deep in a project throughout the day, I tend to get distracted. A few alarms on my phone throughout the day remind me to pause to reapply my oils--and then I continue on with what I was doing feeling even more supported and alert than I was before! 5. Don't rush it. Sometimes applying oils is something that is done so quickly--especially if you are a seasoned oiler and you know, for instance, what oils you like to use to support your hormones on the daily. Like I said above, I don't even step out of my bedroom in the morning without six different oils on me, and that takes me all of 30 seconds. 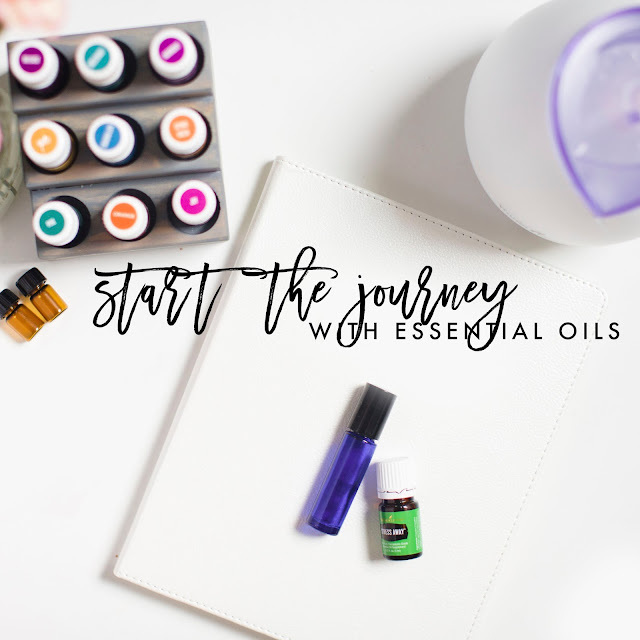 But I also think it is important to have those moments when we slow down and enjoy some of the self-care and mindfulness that can come with using oils as well. I love taking 15-20 minutes in the middle of the day to pour some drops of my favorite emotional support oil into my hands, sit down in a quiet space, and just breathe in a deeply for a little bit. Make it a positive and soothing time--whether it is rubbing your kid's feet before bed, or taking a soothing bath with some epsom salts. Enjoy the beauty that they bring to your life! But most important to remember--CONSISTENCY IS EVERYTHING! All right, those are my tips. 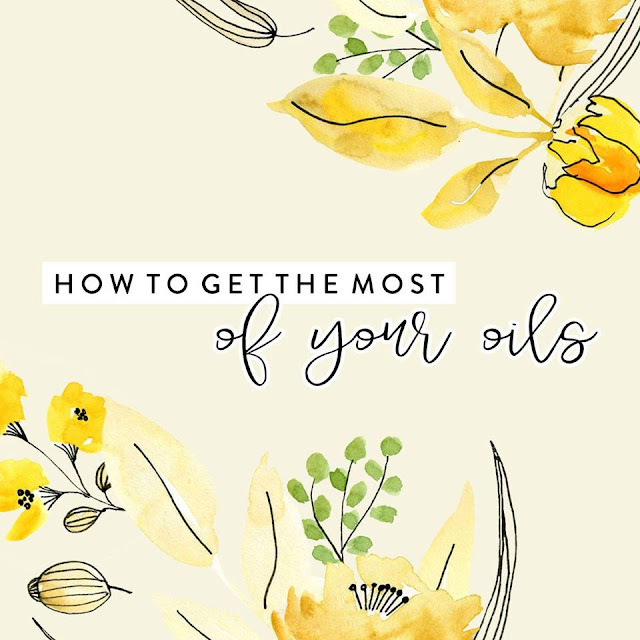 Let's hear from some other seasoned oilers--what would you say are some helpful ways to make sure you use your oils consistently??!? !